This morning at 09:40 GMT, the EUR is trading at 1.1448 against the USD, 0.28% higher from the New York close. This morning, the pair traded at a high of 1.1461 and a low of 1.1390. The Euro traded 0.78% higher against the US Dollar in the New York session yesterday, with the pair closing the session at 1.1417. The pair is expected to its find support at 1.1341 and its first resistance at 1.1508. At 09:40 GMT, the pair is trading at 1.5636, with the Pound trading 0.36% higher against US Dollar from the New York close. The pair witnessed a high of 1.5660 and a low of 1.5557 during the session. Yesterday, the Pound traded 0.26% higher against the US Dollar in the New York session and ended at 1.5580. Immediate downside, the first support level is seen at 1.5536, while on the upside, the first resistance level is situated at 1.5698. This morning, at 09:40 GMT, the US Dollar is trading at 119.21 against the Yen, 0.79% lower from the New York close. Moving ahead, Japan’s CPI data for August, due in the next week, would be keenly awaited by Yen traders. During the session, the pair traded at a high of 120.43 and a low of 119.05. Yesterday, the US Dollar traded 0.6% lower against the Yen in the New York session and ended at 120.17. The pair is expected to its find support at 118.51 and its first resistance at 120.46. The US Dollar is trading at 0.9565 against the Swiss Franc at 09:40 GMT this morning, 0.56% lower from the New York close. The pair traded at a high of 0.9633 and a low of 0.9557 this morning. 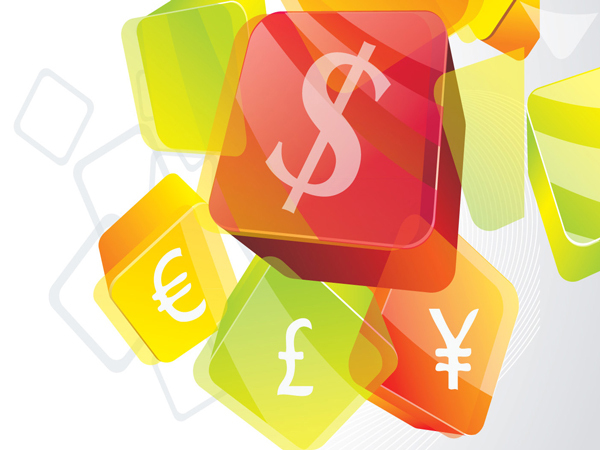 Yesterday, the USD traded 0.6% lower against the CHF in the New York session and ended at 0.9619. The Swiss central bank kept its benchmark interest rate steady at -0.75%. The pair is expected to its find support at 0.9506 and its first resistance at 0.9676. The pair is trading at 1.3055 at 09:40 GMT this morning, with the USD trading 0.93% lower against CAD from the New York close, ahead of Canada’s consumer prices data for August, scheduled in a few hours. The pair traded at a high of 1.3186 and a low of 1.3045 this morning. The US Dollar declined against the Canadian Dollar in the New York session yesterday, closing 0.12% lower at 1.3177. The pair is expected to its find support at 1.2997 and its first resistance at 1.3160. The pair is trading at 0.7257 at 09:40 GMT this morning, with the Australian Dollar trading 1.23% higher against US Dollar from the New York close. This morning, the pair traded at a high of 0.7268 and a low of 0.7165. The Australian Dollar traded 0.09% higher against the US Dollar in the New York session yesterday, with the pair closing the session at 0.7168. The pair is expected to its find support at 0.7170 and its first resistance at 0.7310. Gold is trading at $1136.90 per ounce at 09:40 GMT this morning, 0.57% higher from the New York close. This morning, the precious metal traded at a high of $1138.20 per ounce and a low of $1126.90 per ounce. Yesterday, gold traded 1.26% higher in the New York session and closed at $1130.50 per ounce, as the Fed’s decision to keep key interest rates unchanged raised concerns about the health of the global economy, raising the safe haven demand of the yellow metal. Immediate downside, the first support level is seen at $1121.67 per ounce, while on the upside, the first resistance level is at $1145.17 per ounce. The precious metal is trading at $15.25 per ounce at 09:40 GMT this morning, 0.86% higher from the New York close, tracking gains in the gold prices. During the session, silver traded at a high of $15.31 per ounce and a low of $15.02 per ounce. In the New York session yesterday, silver rose 1.51% and closed at $15.12 per ounce. Immediate downside, the first support level is seen at $14.91 per ounce, while on the upside, the first resistance level is at $15.45 per ounce. The commodity is trading at $47.02 per barrel at 09:40 GMT this morning, 0.49% higher from the New York close, amid a weaker greenback. Crude oil witnessed a high of $47.03 per barrel and a low of $46.17 per barrel during the session. In the New York session yesterday, crude oil rose marginally to close at $46.79 per barrel. Meanwhile, OPEC has reportedly forecasted that the oil prices would increase by no more than $5 per barrel a year to reach $80 by 2020. Immediate downside, the first support level is seen at $46.22 per barrel, while on the upside, the first resistance level is at $47.76 per barrel. The Euro-zone’s current account surplus swelled to €33.8 billion in July, from prior month’s level of €31.1 billion. Minutes of Bank of Japan’s (BOJ) recent monetary policy meeting said that the country’s economic recovery continued with the increase in private consumption and housing investment. Further BOJ noted that inflation expectations appear to be rising and the central bank will continue with its quantitative and qualitative easing (QQE) program in an attempt to achieve inflationary targets of 2%. BOJ members also indicated that exports will rise moderately with the recovery in foreign economies and the weak yen would help in rise.